Programming. 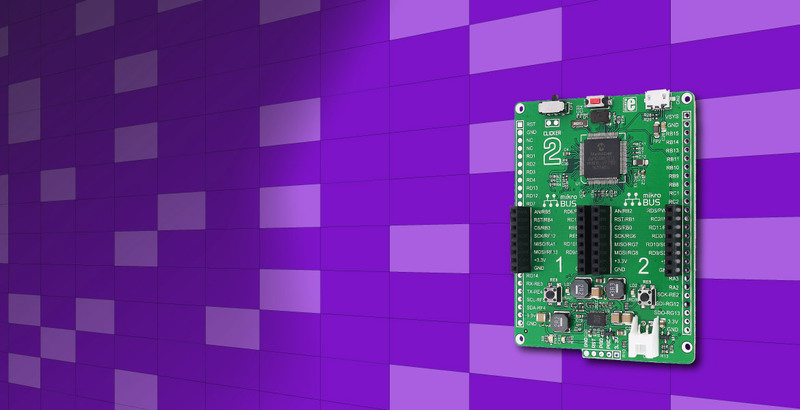 To make your prototyping experience as convenient as possible, clicker 2 for dsPIC33 is preprogrammed with a UART bootloader. Just download our mikroBootloader application and you’re ready to upload your firmware. 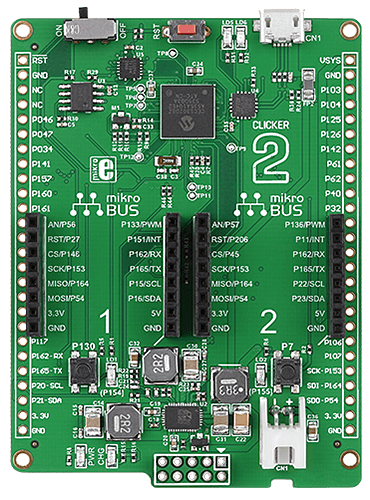 MikroProg for PIC, dsPIC and PIC32 connector enables programming through external programmer/debugger. For more information see our article about Bootloaders. Power Management. 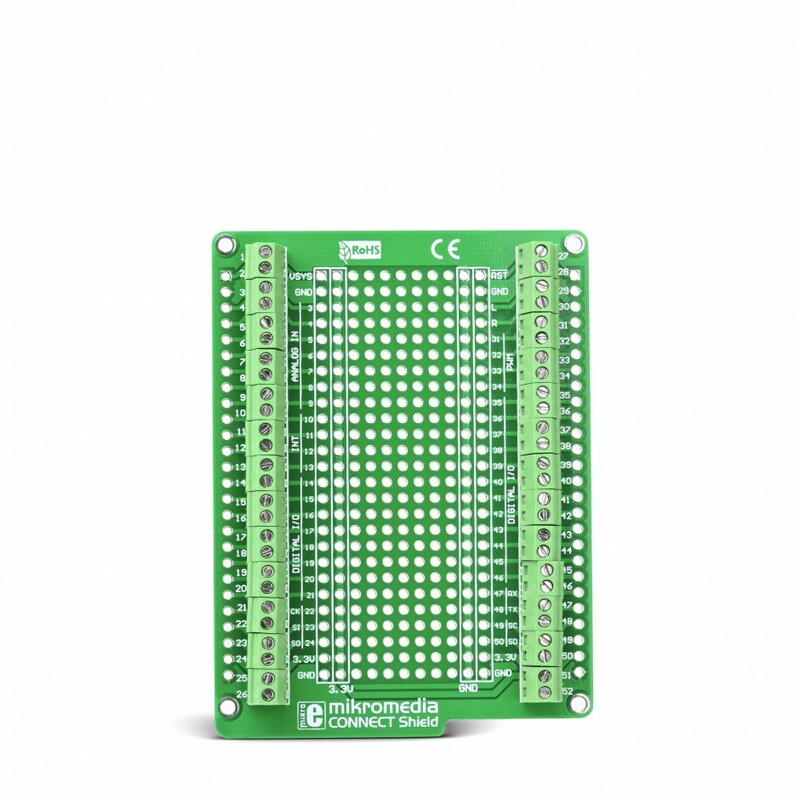 Clicker 2 for dsPIC33 features LTC®3586, a highly integrated power management and battery charger IC that includes a current limited switching PowerPath manager. LTC®3586 also enables battery charging over a USB connection. You can supply power to the board with a micro USB cable provided in the package. On-board voltage regulators provide the appropriate voltage levels to each component on the board. Microchip’s dsPIC33E family of digital signal controllers (DSCs) features a 70 MIPS dsPIC® DSC core with integrated DSP and enhanced on-chip peripherals. These DSCs enable the design of high-performance, precision motor control systems that are more energy efficient, quieter in operation, have a great range and extended life. 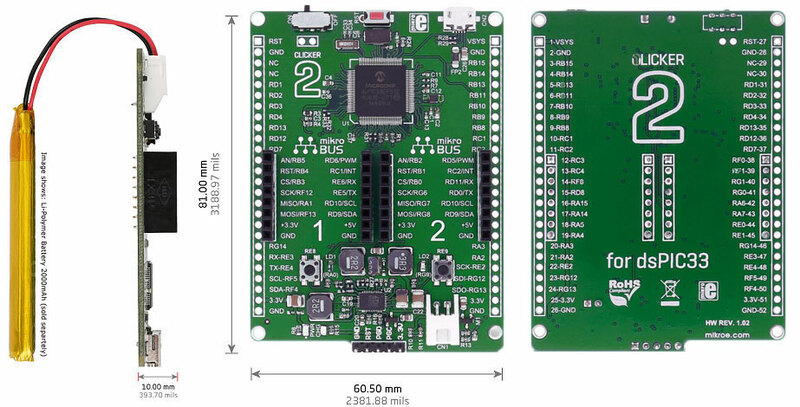 dsPIC33EP512MU819 is 16-bit low power high-performance microcontroller is rich with on-chip peripherals and features 512 KB of program memory and 53,248 bytes of RAM. It has integrated full speed USB 2.0. support. 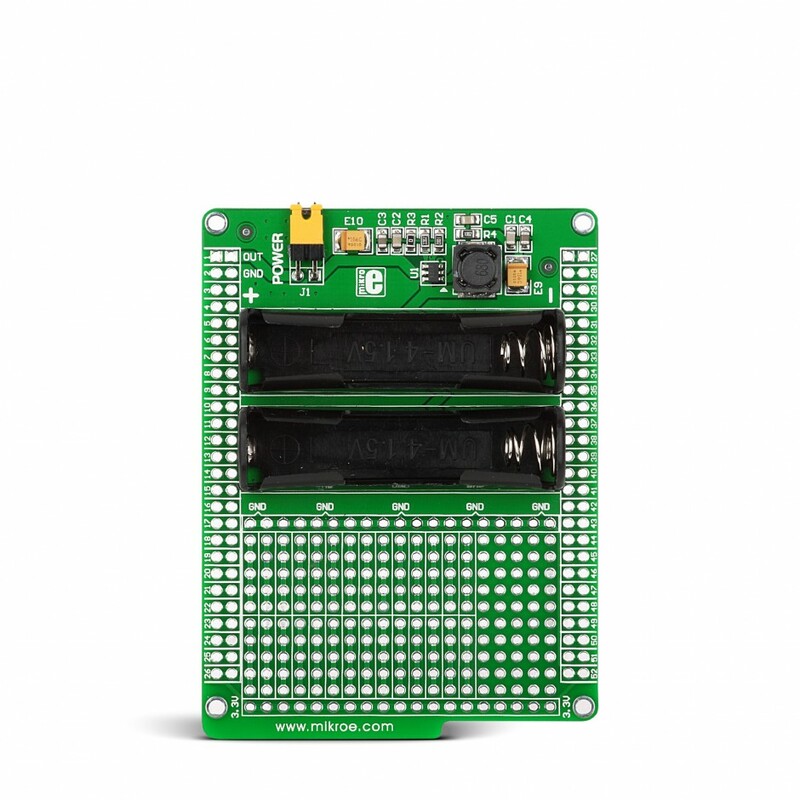 Focus on your main idea because clicker 2 will take care of the details for you: your prototype already has a power management system in place. 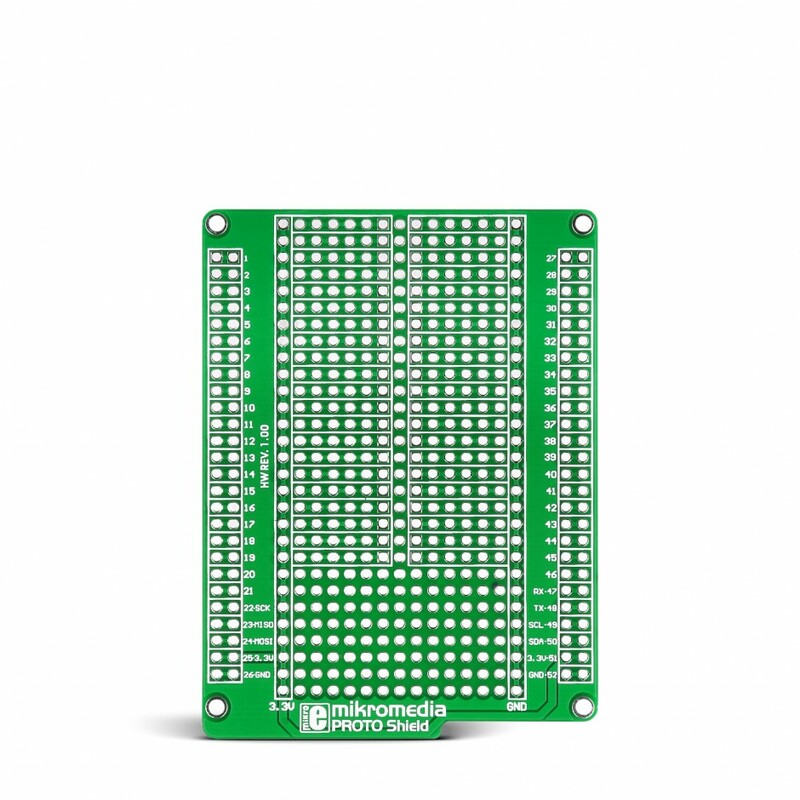 The onboard LTC®3586-1 IC will provide 3.3V or 5V to the clicks. It turns the USB port into a battery charger. For convenience, clicker 2 for dsPIC33 features a reset button and an ON/OFF switch (you can also connect an external ON/OFF switch). 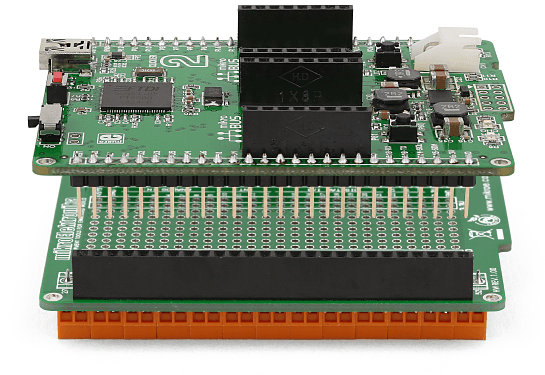 To make your prototyping experience as convenient as possible, clicker 2 for dsPIC33 is preprogrammed with a USB UART bootloader. Just download our mikroBootloader application and you’re ready to upload your firmware. 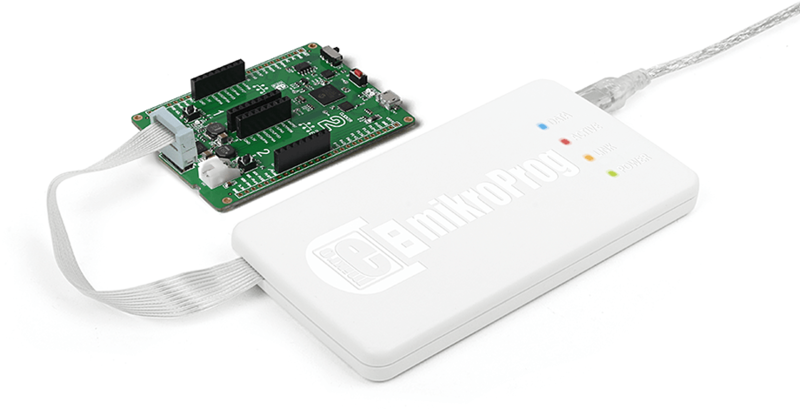 Efficiently erradicate any bugs and iron out your code until it’s wrinkle free and your clicker 2 device works perfectly—use mikroProg™ for dsPIC33. 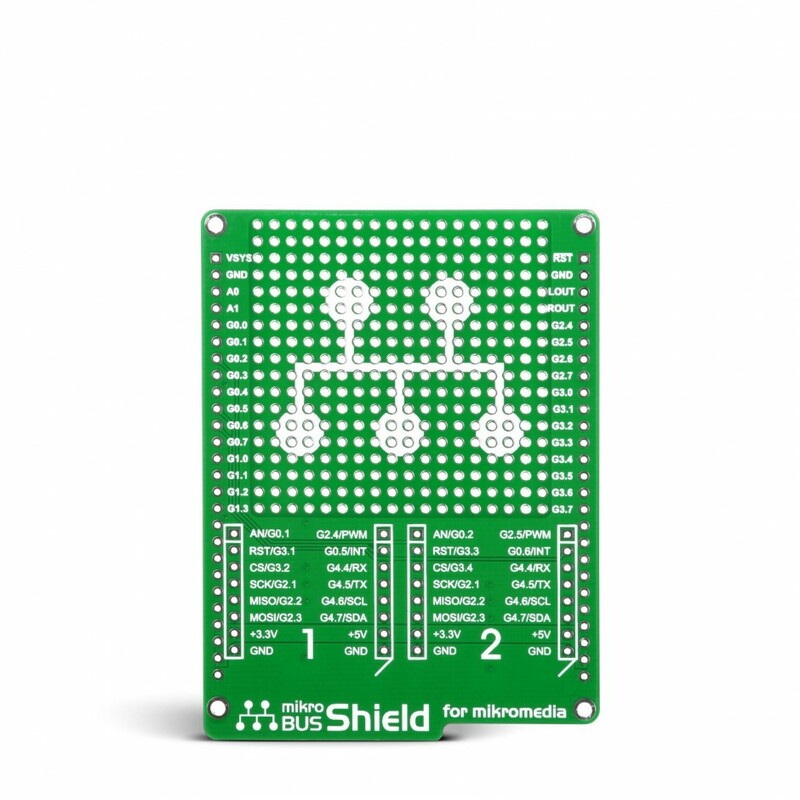 It’s a fast hardware debugger and programmer that exploits the MCU’s integrated encryption module, enabling secure firmware updating.